Every workplace has that one employee who watches the clock like a hawk, leaves work the second the clock strikes five and takes every sick day as soon as it rolls around. It’s generally the same employee who mingles for long coffee breaks in the kitchen, takes long lunch hours and generally does the minimum amount of work required to not get fired. So as a CEO and leader, how exactly do you get the most out of your staff to ensure productivity is at an all-time high? We’ve put together a few tips on how to motivate and inspire your staff and lead them to better productivity. Employees who are performing tasks beyond their job description can generally feel defeated and unappreciated. A good leader will ensure their staff have clearly defined roles, responsibilities and KPIs. It’s hard for staff to feel motivated if they feel like they are constantly falling short of expectations set for them, because the role description and KPIs are unrealistic. Be sure to regularly assess and modify roles for staff to ensure they experience a sense of self achievement through their work. There’s nothing more rewarding or motivating than celebrating company milestones and successes. Not only does it help break up the employee’s day-to-day routine (cake and champagne in the boardroom is always a good incentive), it also helps lift morale. Find reasons to celebrate wins – large or small – throughout the company on a regular basis. It also makes each staff member feel like they’re part of a bigger, successful team. Midweek team building or social days are a great way to get staff to build relationships beyond the boardroom. It’s also a fantastic way to break the monotony and routine of their standard working day. For leaders, it’s a great way to show appreciation for staff and it’s a great way to mingle with staff whom you may not connect with on a daily basis in the workplace. Great leaders will always be somewhat accountable for the success and contentment of their staff. Regular one-on-ones in a very casual and relaxed environment is a great way to monitor how your staff members are going with their workload. It is also a good time for them to bring up areas of concerns. Just be sure to provide an environment where they feel like they can speak freely without risk of it affecting their employment. Having a strategy in place for further training, development and escalation up the corporate ladder is a great way to motivate, create job satisfaction and increase productivity. Devising an individual plan for each staff member with an eye on future expansion within the company is one strategy great leaders take to ensure greater employee satisfaction. That way the employee feels as though they have a future in the company and can work towards a goal of progression up the ladder. 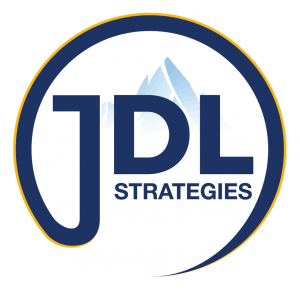 Stimulate your staff and increase your profits – at JDL Strategies, we help make your money work for you. Come along to one of our nearby, half-day Fast Track events or take advantage of JDL Strategies’ free 2-hour events and learn how.